I first found an interest in cooking aged 13, when I used to wash up in the local pub at the weekends for some extra pocket money. I kept questioning Chef (much to his annoyance at times) on what he was doing, why he was cooking things in certain ways, always watching and listening with anticipation as to what was to be produced next. Eventually he allowed me to do simple prep in the kitchen, just to keep me quiet I think! This was the beginning of a very satisfying introduction within the food and hospitality industry. Upon leaving school I wasn’t too sure what I wanted to do as a career and after deliberation decided to join a YTS scheme designed for the Catering Industry. I took a role at a local hotel, working there 5 days a week while attending South Downs Catering College 1 day a week. I completed my course 6 months early and left college in 1993 with Distinctions in City & Guilds 706/1 & 2 as well as completing the new NVQ Level 3. I remained at the hotel for a further five years, working in various roles, obtaining experience within all departments. I spent the first few months of my time at Claridge’s homesick and wondering what I had done, missing my small village. However, I formed a new family within the Claridge’s team, where I spent the following four years of my career. When I left Claridge’s, I left as the Senior Chef de Partie on the sauce section, working alongside John Williams and Claire Clark on the pastry section. This was the springboard which led me to work within similar establishments with larger kitchens and dining rooms. In 1998 I was offered my first role as head chef, leading a small team in a country pub in Hampshire, producing great quality homemade food using local, seasonal ingredients. This was the springboard which led me to work within similar establishments with larger kitchens and dining rooms. In the early 2000’s I took a break from cooking and went to work for the unique wine merchants, Oddbins, taking the opportunity to sell and learn more about another subject I have a great passion for: wine! To me it made sense; I mean, what goes better with great food than great company? Although very satisfying as a vocation, the company unfortunately became no more and I returned to my first true love, cooking. I went to work for a friend of mine whose pub had fallen on hard times and we set about the task of transforming it back. This is where I was first introduced to kff as a supplier. I found the quality of products to be outstanding and economic, which allowed me to transform my dishes into ones offering not only quality, but value too. When I felt my time in the kitchen had come to an end, I still wanted to remain within the food industry so applied for a position at kff. Using my experience within catering and knowledge of the products I have used first hand, in a working kitchen, my romance with food continues. 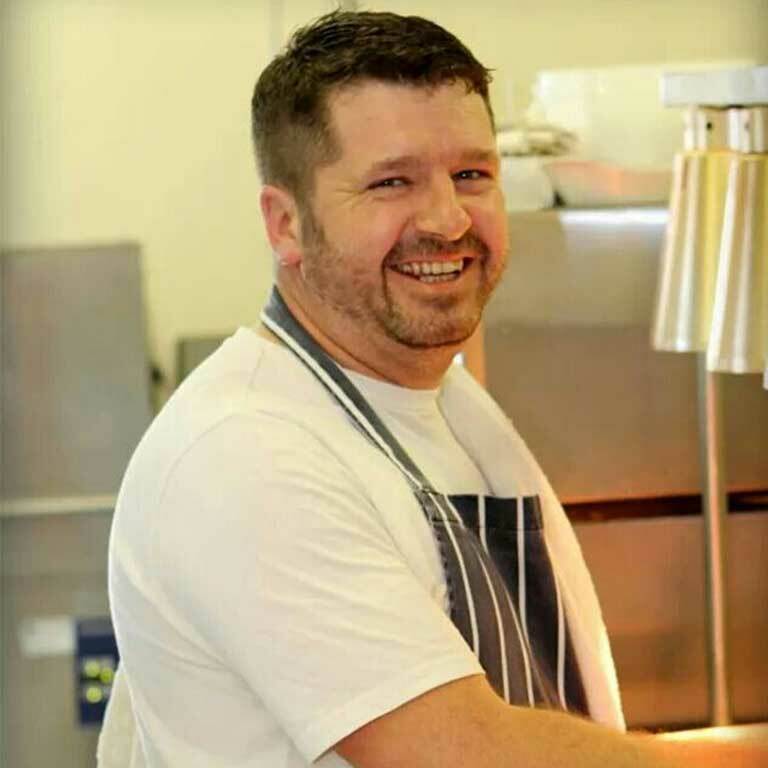 Now one of two Business Development Managers for Purple Pineapple and Planète Pain, I use my experience in the kitchen to help deliver a well-informed, knowledgeable service to my customers, focusing specifically on the fantastic range of breads and fillings we have available here at kff. I take a very active role at Purple Pineapple, kff’s own brand of premium fillings, in helping to develop new products, always keeping an ear to the ground for emerging trends.